My kids can’t get enough of The Lorax, we’ve been on the movie and book kick for the past week! So of course, that means mama had to come up with a fun Lorax themed activity. 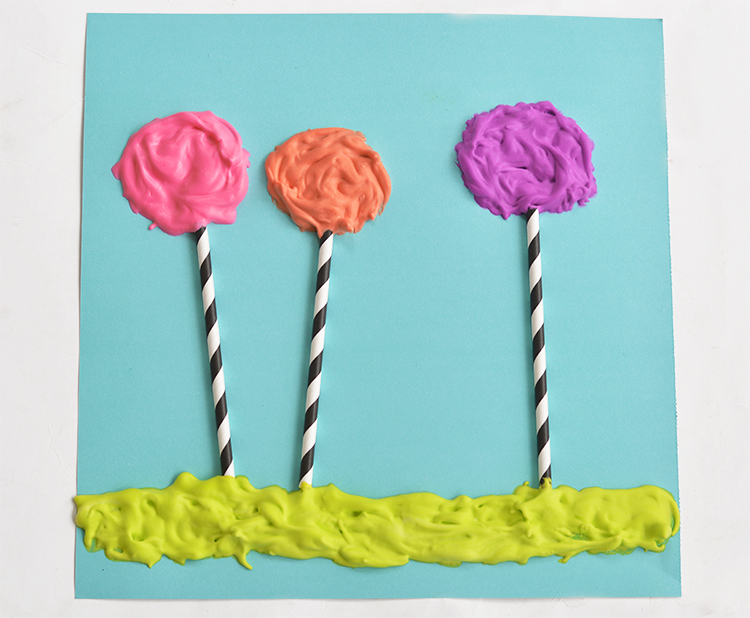 We made an easy three ingredient puffy paint that was so much fun to use! 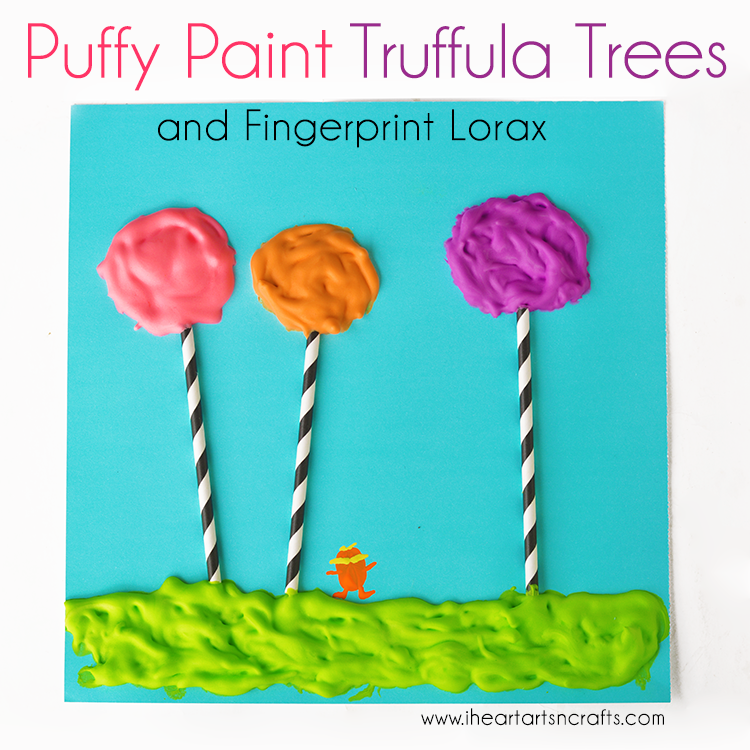 The kids created these Truffula trees to go along with The Lorax book and added a fun fingerprint Lorax in their finished picture. 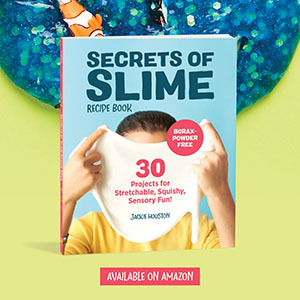 First to make your puffy paint you’ll need three ingredients shaving cream, white glue, and food coloring. 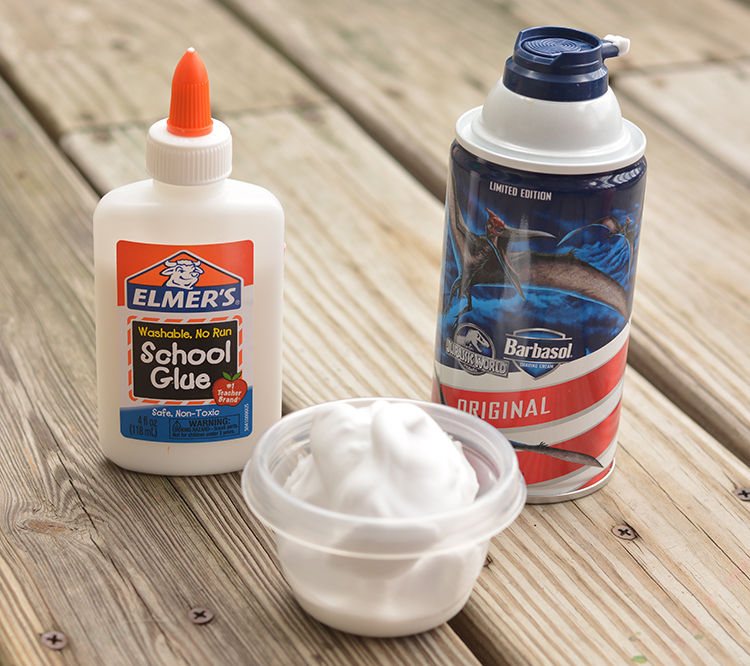 Take a small bowl and mix even amounts of the shaving cream and glue into it. 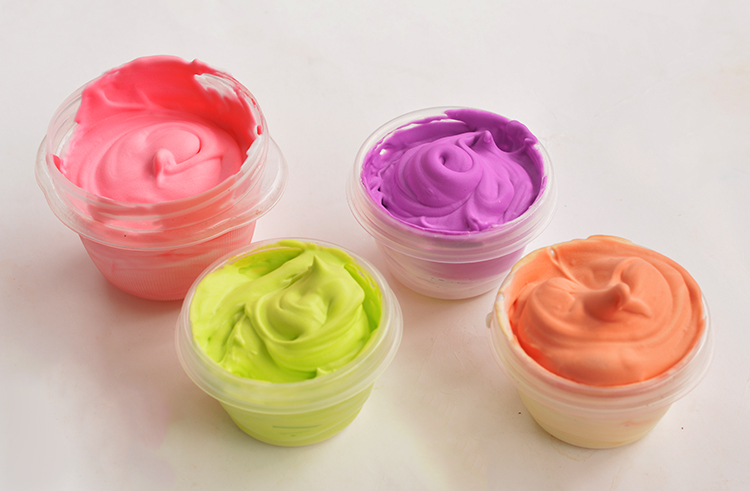 Add a few drops of your desired color to the mixture and mix. I used neon food coloring, because I love the vibrant colors it makes! Mix together the colors you’d like to use for your trees and the grass for the picture. 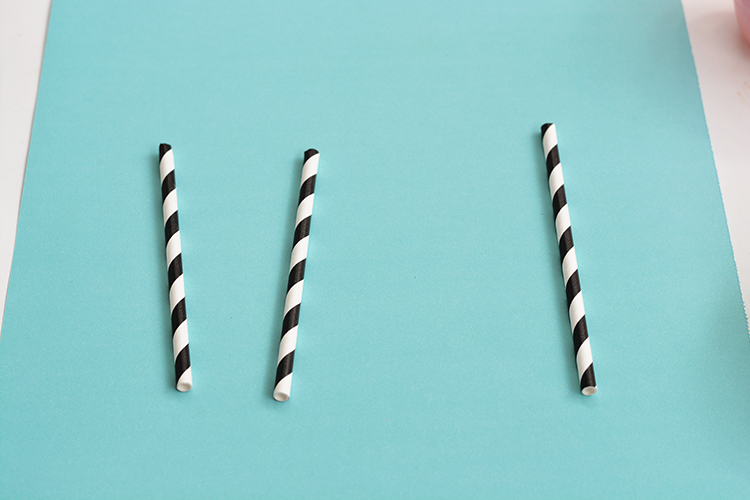 Next for the trunk of the trees, we used black and white paper straws. 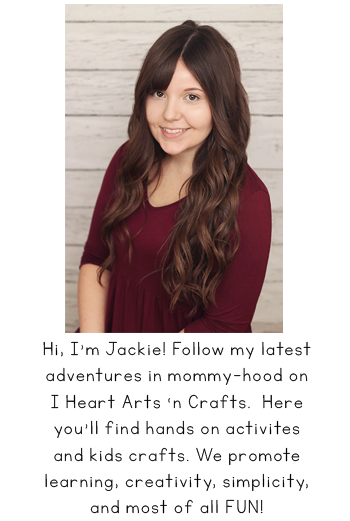 Simply cut them to the desired length and glue them onto your blue piece of card stock paper. And let the kids paint! When you’re done make sure to let these pictures dry overnight. And of course, we had to add Lorax to our picture so we made a thumbprint Lorax. Press your child’s finger in orange paint and then onto the blue card stock and add in yellow paint for his hair like the image below.